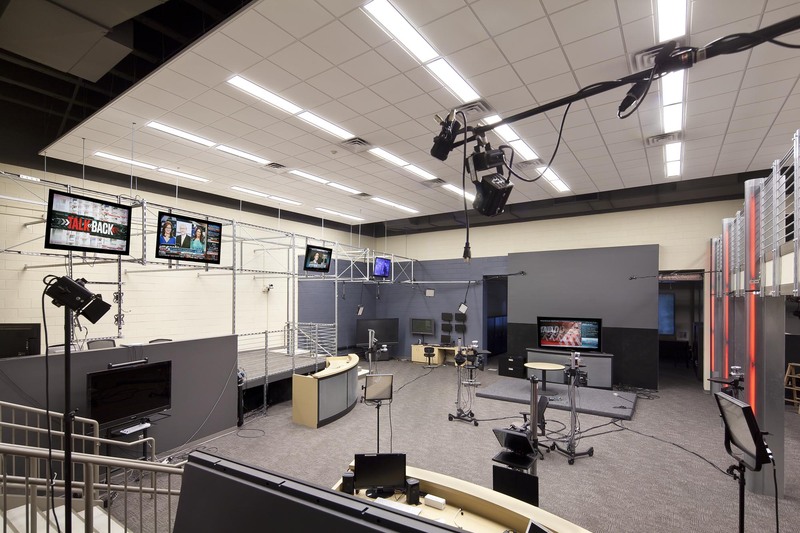 The University of Georgia’s WUGA television studio needed an updated studio space with multiple stations in the Main Anchor space and support spaces. Increasing visibility, functional flexibility, and introducing natural light into select spaces were the most important performance objectives in designing the space. 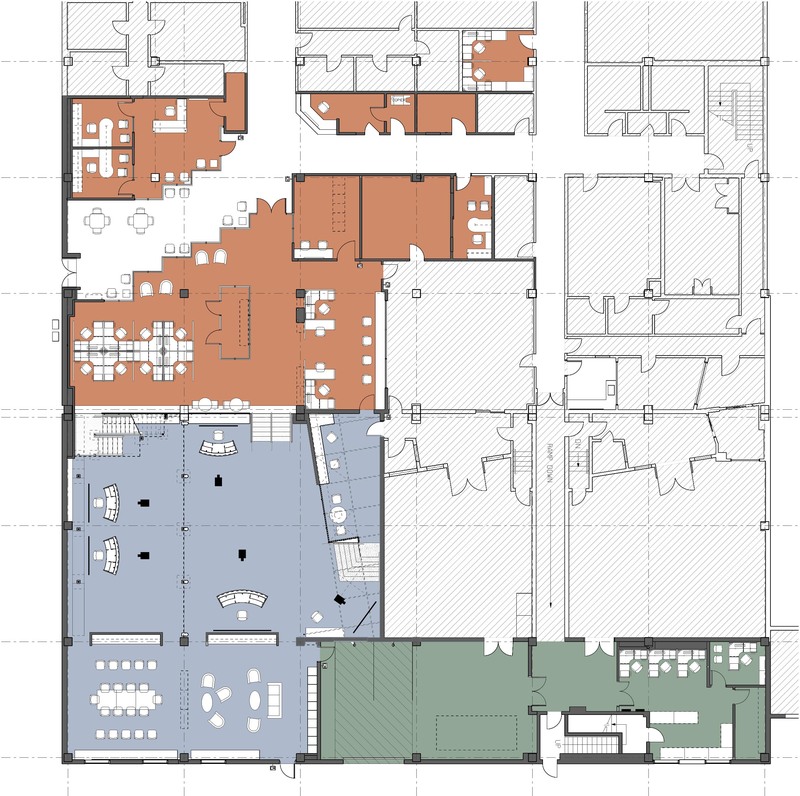 The design-build team responded by demolishing block wall offices and maze-like corridors to create an open workspace fostering collaboration within the WUGA department and creating a dynamic learning environment for the Journalism students. Full height glazed partitions provided separation from one of the main building entrances, yet allowed students and visitors a view into the studio and workspace as they passed through. 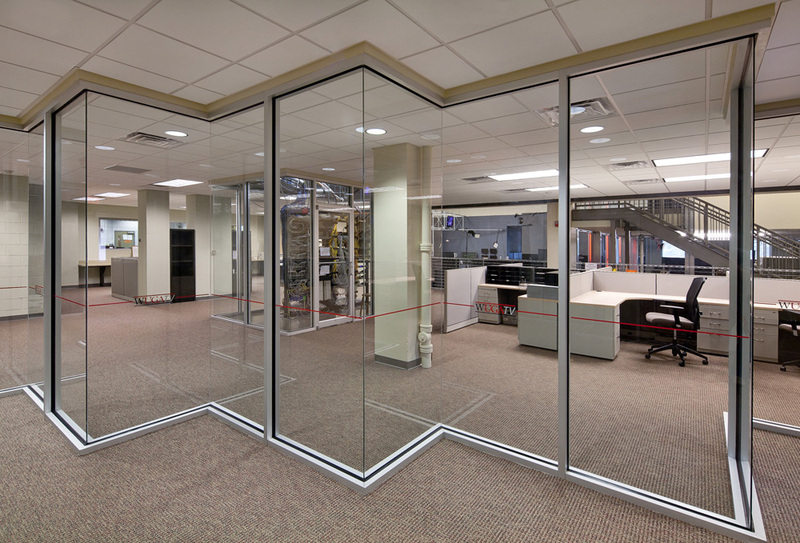 A new mezzanine was constructed in the main anchor studio with new exterior windows in the facade to introduce natural light into offices and a conference room. In addiiton, new exterior windows were added to the Multipurpose meeting room / lounge space adjacent to the Main Anchor. The project also included office space for Productions and Promotions, a Master Control room, servers, and reception. The mezzanine railings were constructed of a kit of unistrut parts for additional studio lights to be clamped to. Neon lights were hidden behind perforated column covers for a unique special effect that the client desired for the space.